PSC golfers enjoy the day at Pattana Golf Club & Resort. 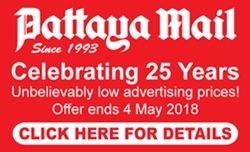 Pattaya Sports Club held its Annual General Meeting on Saturday, June 9 where some senior management changes were made, including the appointment of Sandy Mackay as the new Golf Chairman. 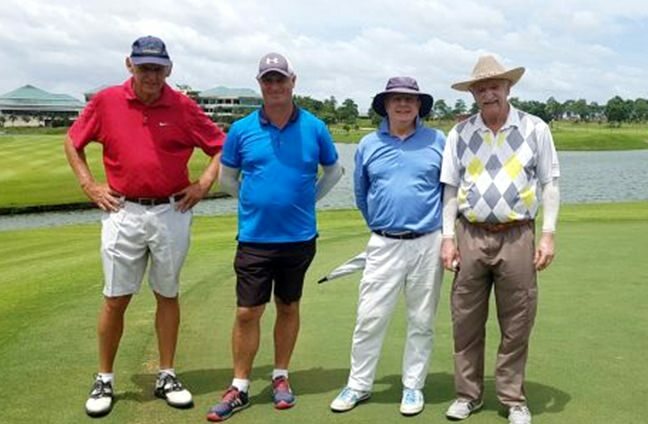 So to run the Club’s 165th monthly golf tournament at Pattana Golf Club & Resort just four days later was certainly a challenge, however everyone chipped in and did their bit to make sure things ran smoothly on the day. The competition started with a two tee start at 0900 and there had been much concern the night before when severe rain fell in most places around the venue. Fortunately by the time we started the weather was good and remained that way for the day. Attendance was better than could be expected considering the recent changes in management and it was good to see some old faces appearing again to boost the numbers. 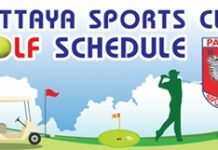 Lady golfers were noted by their absence but this may have been a result of the ladies competition held at Burapha the day before. We started the day with only two ladies taking part and the winner of an uncontested Ladies Flight was Sunanta Duangwaw. In the Men’s A Flight, playing a medal comp, Christian Boysen took the honours with a net 68 off his handicap of 9. One shot behind was Stephen Truelove (H/C10) with a net 69. John Harrison (15) won the B Flight stableford comp with a whopping 46 points, three up on Jack Jackson (18) in second place. C Flight winner Thierry Temime (25) shot 43 points to finish one ahead of Thomas Ostle (25) who took second place with 42. Long Drives of the day went to Simon Spalding (A Flight), Jack Jackson (B Flight) and Brendon Core of (C Flight). Sunanta Duangwaw struck out for the ladies. 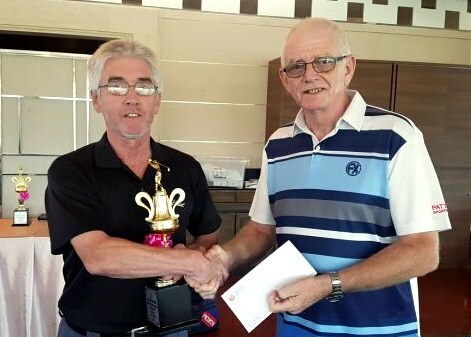 Eddie Beilby picked up the prize for the Long Putt while near pins went to: (A Flight) Steve Rawlings, Christian Boysen (2) and Simon Spalding; (B Flight) Jerry Sweetnam, Mikael Andersson and Chaten Patel; and (C Flight) Thomas Ostle, Torben Lindgaard, Brendon Cope and Stanley Rees. 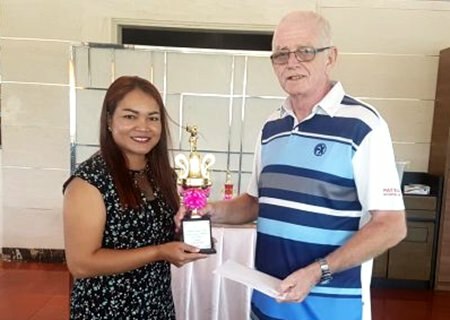 Sunanta Duangwaw (left) receives her prize from PSC Golf Chairman Sandy Mackay. Thierry Temime (left) was the C Flight winner. 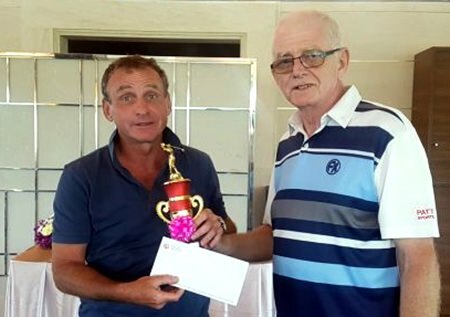 John Harrison (left) was the winner in B Flight.